Live Events Breathe Life Into Your Small Business Mischa Communications, Inc.
As a small business owner, it sometimes feels like you live life behind the scenes. You’re so focused on the numbers, the products and services you offer, and the ratio of pain points to productivity, that it’s easy to forget that your customers aren’t just names and numbers on a spreadsheet — they’re real, live people. It’s time to step out from behind your self-imposed shield! Live events are an awesome way to not only connect with your existing audience, but cultivate a brand new one, too! For a service-oriented business, live events position you as a leading authority in your field. You’re not just saying you can do X, Y and Z — you’re proving it, in front of potential customers. Do you run a mom-‘n’-pop auto repair business? Invite your audience out for a hands-on oil change demonstration. Is landscaping the name of your game? Show people how to transplant bulbs, sharpen lawnmower blades or sculpt bushes into lions, tigers and bears. Whatever you do — be it baking cakes, cleaning carpets or repairing shattered iPhone screens — there’s a live event hiding somewhere within just waiting to come out. Sure, it may seem counterintuitive to show people how to do on their own what you would normally charge them for, but the vast majority will see your skills and hire you rather than attempt the DIY approach. For those who peddle products rather than services, the live event approach changes a bit, but it’s not impossible by any means! Product demonstrations have been around since door-to-door vacuum salesmen were a thing. We don’t recommend you run around your neighborhood pouring flour all over unsuspecting people’s carpets the moment they answer the door, but there’s nothing wrong with showing off your wares when the time and place is right! Visit any Sam’s Club or Costco on any given Saturday afternoon and you’ll likely see people gathering five-deep around a table where a salesperson with a headset is showing off the latest newfangled blender, knife set, whirligig or whatchamacallit. Those salespeople aren’t doing it for their health — they’re doing it because product demonstrations help increase sales! You don’t need to contract with a big-box store to strut your stuff; in fact, they’ll likely take a big cut of your cash, anyway. Instead, set up product demonstrations in your own brick-and-mortar location on occasion — or, if you don’t have premises, look into securing a spot at a community event such as a fair, parade or festival. You’ll have to source the spot (your local chamber of commerce can help!) and shell out some cash for the space, but you probably won’t be required to share your proceeds with the house. 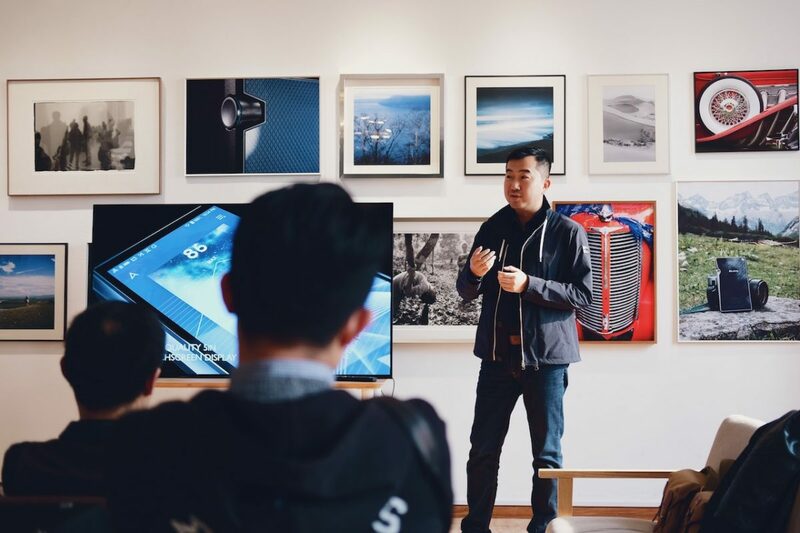 Done correctly, live events can help boost your bottom line — but there are some clear-cut rules you need to follow for your effort to pay off. Know your product or service. If someone emails you a question about one of your offerings, you have the ability to research it and get back to them on your own time. This doesn’t fly in a live event. You must have an on-the-spot answer for any query someone might have about your products or services. Hesitate even a second too long and you’ve lost a sale. Promote your live event. If no one knows you’re putting on an event, no one is going to show up. Utilize social media (especially Facebook Events, which allows people to RSVP and then reminds them to show up) to promote your shindig. Reach out via email. Give the event top billing on your website. The more ways you have to reach people, the more guests you can expect. Make sure no one goes home empty-handed. Reward your audience for coming to your live event. Whether you’re handing out samples of the cake you showed them how to make, giving people a bulb to transplant or tossing out “30 percent off your next oil change” coupons, no one should leave an event without some swag. After all, they did take time out of their busy schedule to hear what you had to say! It’s easy to sit in your office with the door closed pouring over facts and figures. Putting yourself (and your small business) out there is a bit harder. Take the leap. You won’t regret it! Marketing is hard. Mischa Communications makes it easier. Get in touch today and let us show you what we can do take the bulk of the weight off your shoulders.